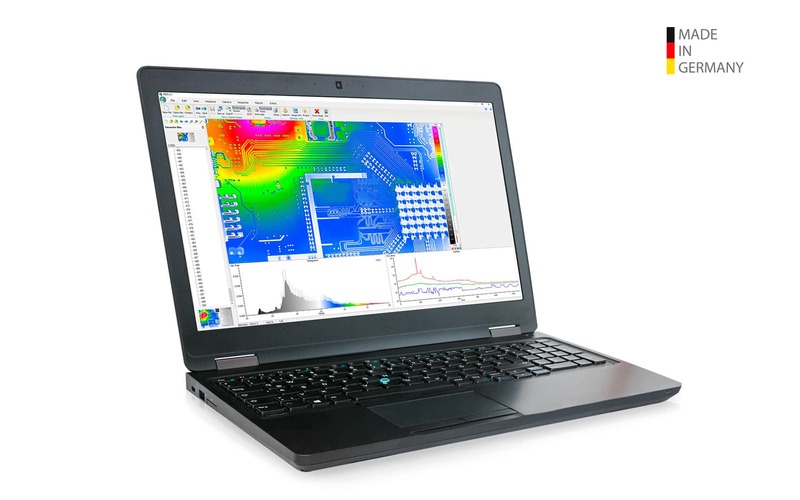 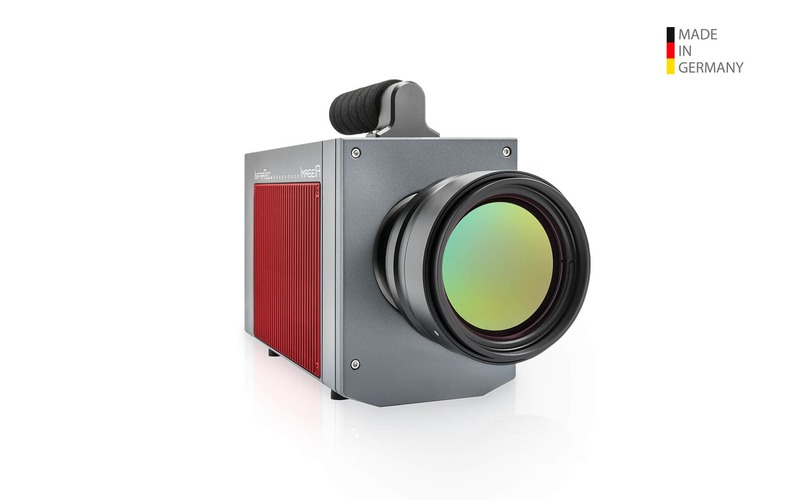 The ImageIR® 9500 is suitable for highly demanding applications in science and industry, object monitoring and microthermographic analysis of extremely small structures. 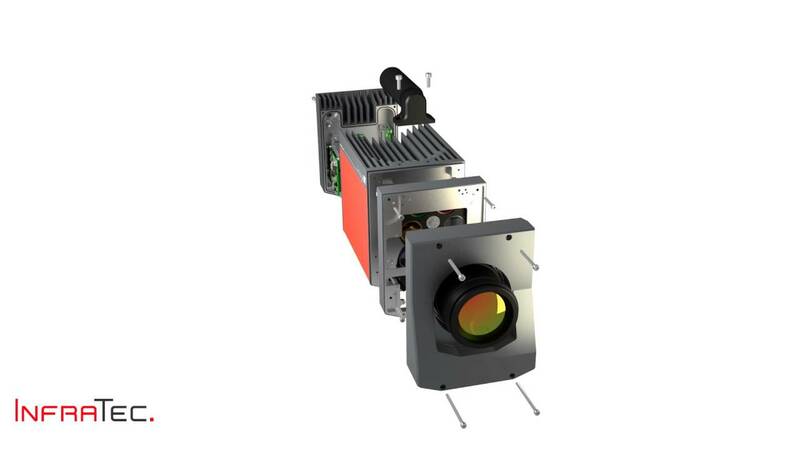 It is equipped with a cooled focal-plane-array photon detector with a format of (1,280 × 720) IR pixels. 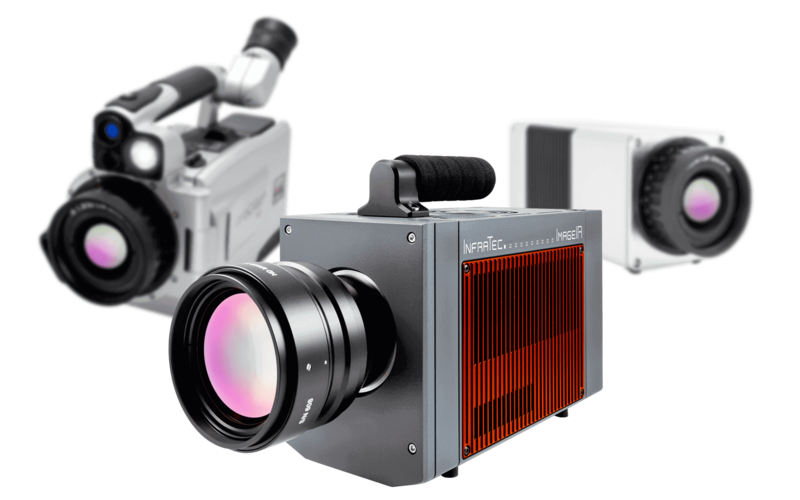 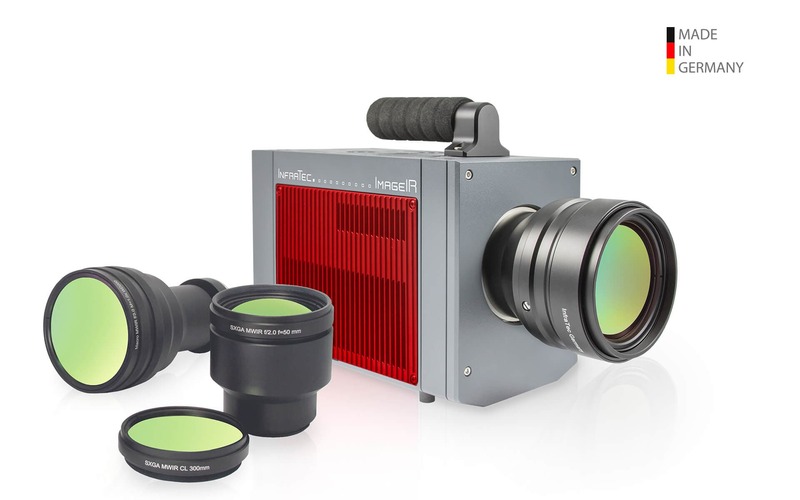 In combination with the outstanding thermal resolution of 0.025 K (25 mK), very high frame rates of 120 Hz and extremely short integration times of only a few microseconds, this camera offers you a whole new range of applications. 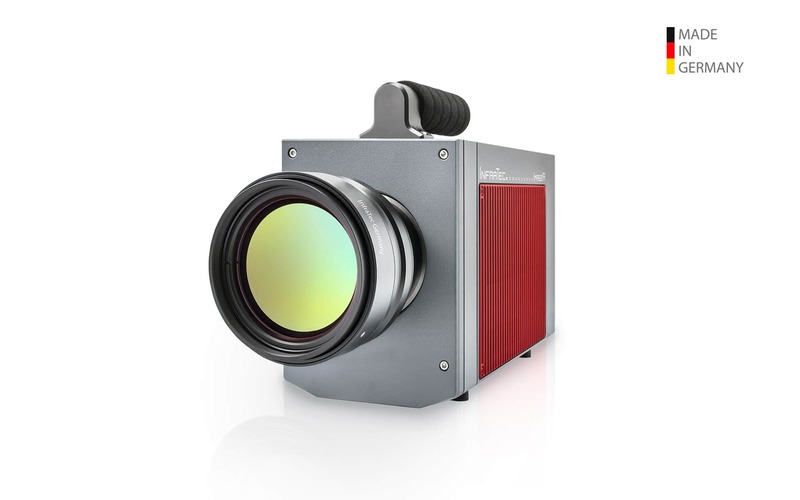 Behind the function is a fast-rotating MicroScan wheel, which is integrated into the camera. 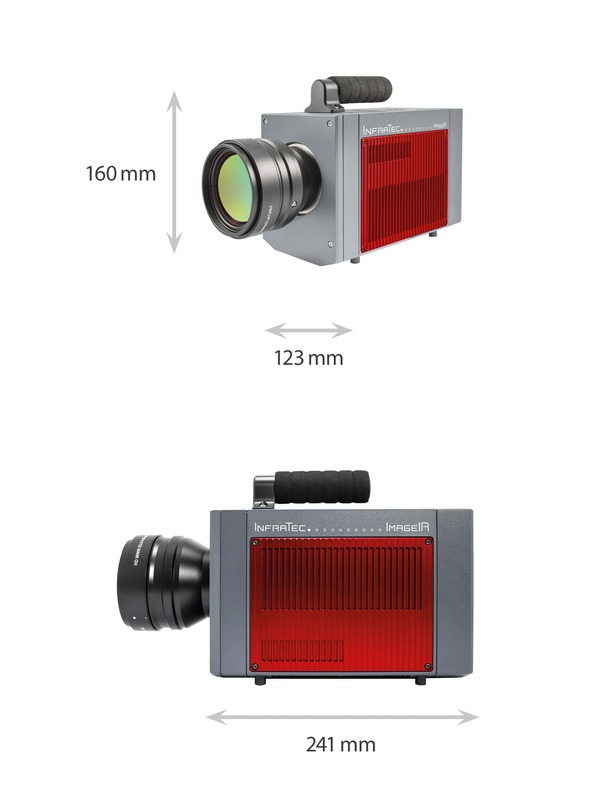 It ensures that four different individual exposures are taken per wheel revolution, which are offset laterally by half a pixel each. 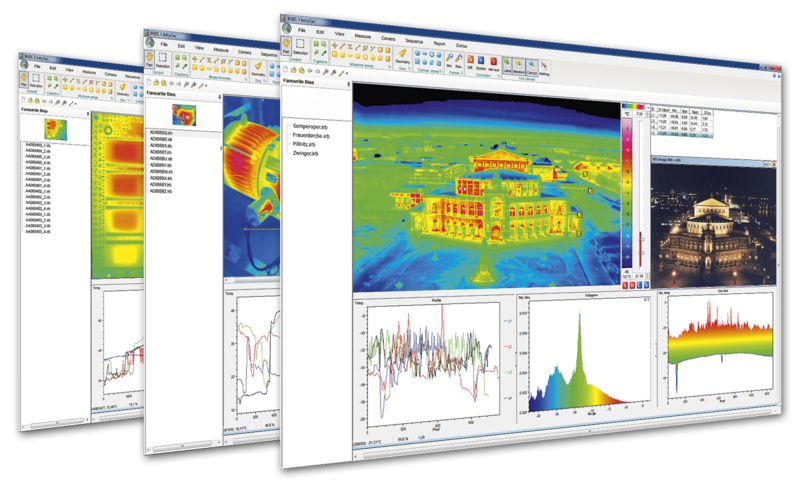 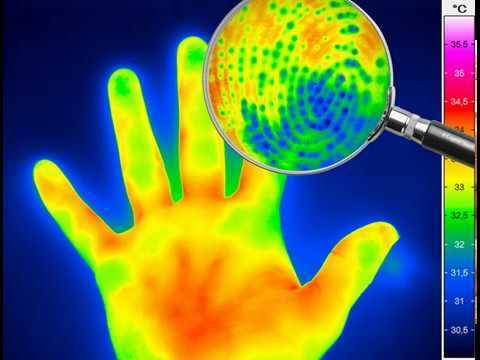 These individual exposures are brought together in real time into a thermogram with quadruple image format. 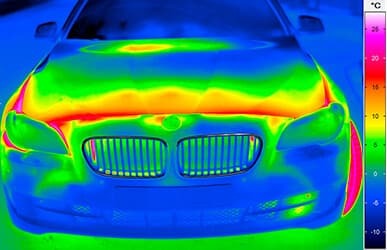 Each pixel in the image represents a genuine temperature measured value and not an interpolated image point. 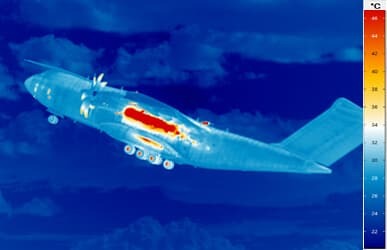 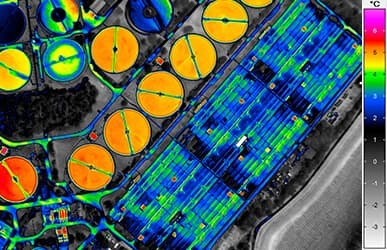 In this way, thermography achieves a new quality due to thermal images providing a spatial resolution up to 3.7 Megapixels. 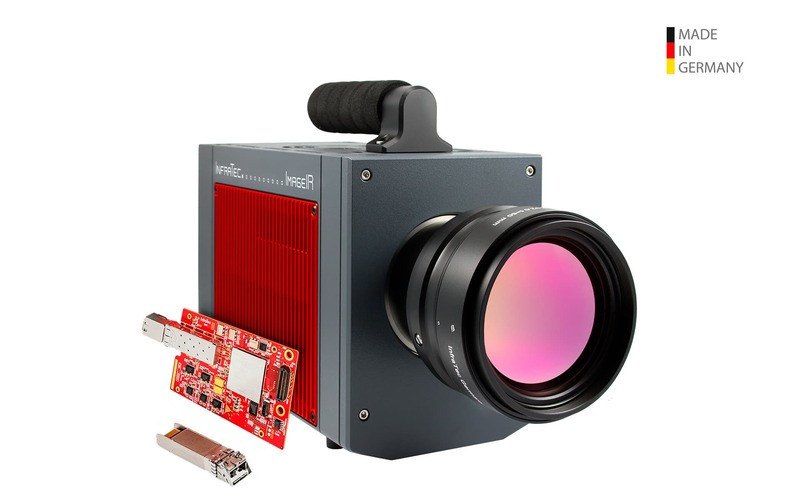 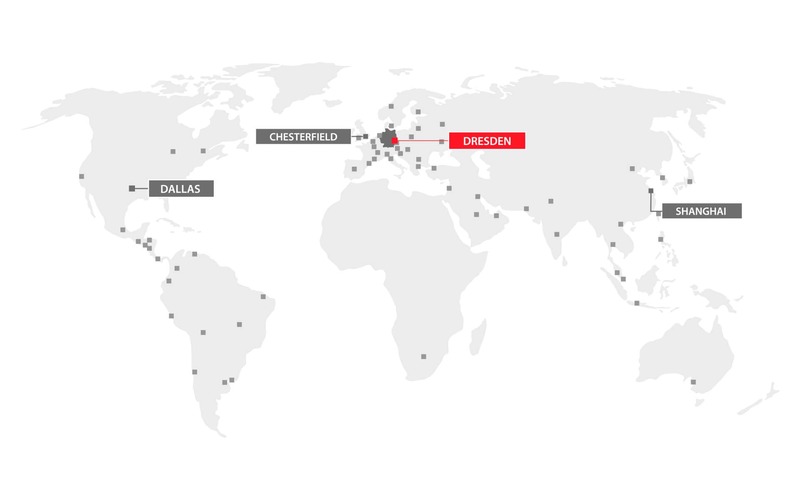 The 10 Gigabit Ethernet interface of the high-end camera series ImageIR®, opens this extremely fast transmission standard with a NIC specially developed by InfraTec. 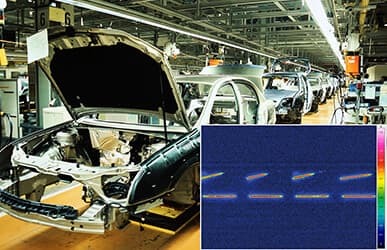 This works with optical or electrical transceiver modules that are easy to change and are called SFP+. 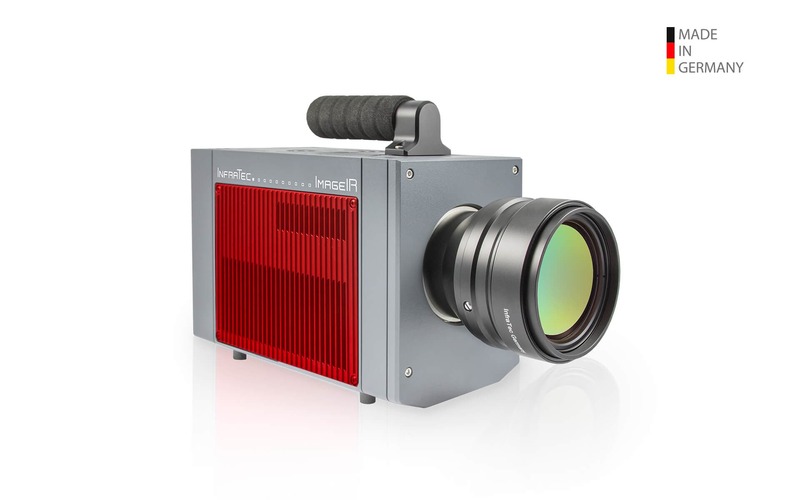 For all models of the ImageIR® 9500 with their (1,280 × 720) IR pixel detectors this leads to a transfer rate in the full frame mode up to 120 Hz.